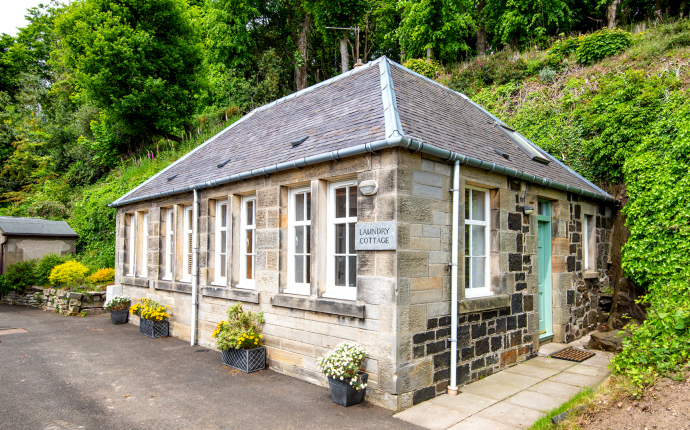 The clue is in the name: this self-catering serviced cottage was originally the laundry of Northcliff House in North Queensferry, Fife, near Edinburgh. Nestled beside Northcliff House, it is set in woodlands and has spectacular views of the Forth Rail Bridge, a UNESCO World Heritage Site. 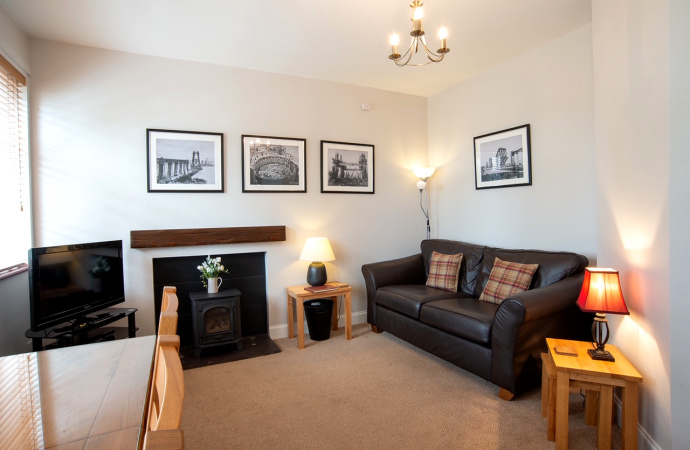 This self-catering serviced cottage is an ideal base for a professional working in the area, whether in Rosyth, Dunfermline, Edinburgh or the South Gyle business centres. 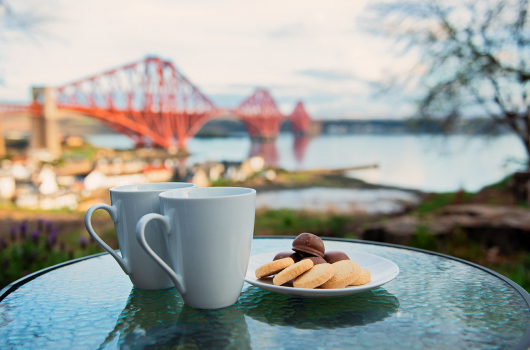 Comfortable, bright lounge with gas stove and views over the River Forth towards South Queensferry and the Pentland Hills beyond. Dining area within the lounge with a large table that can double as a work area for a day away from the office. 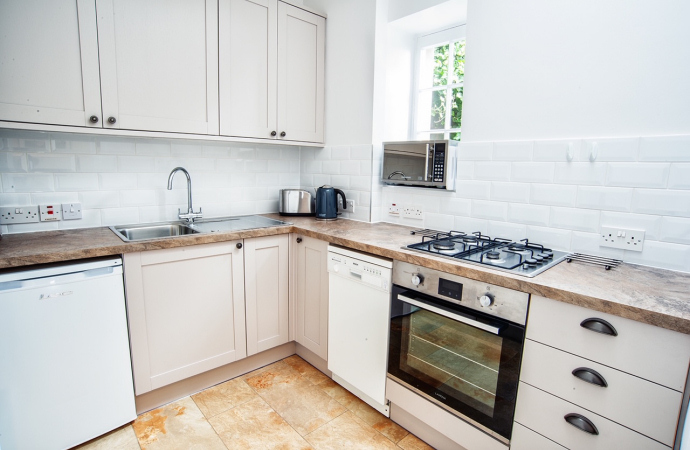 Well equipped kitchen with gas hob / electric oven, dishwasher, fridge, microwave and coffee machine. 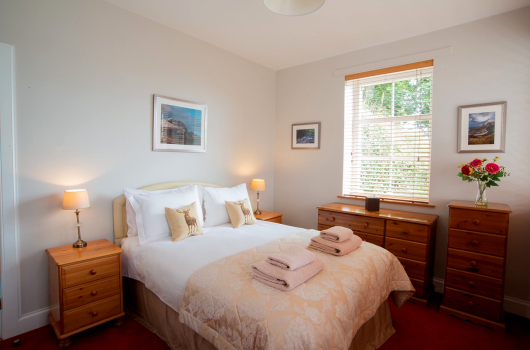 Spacious, bright bedroom with double bed and beautiful views of the Forth Rail Bridge and beyond to Arthur’s Seat, Edinburgh. Bright, fully tiled bathroom with bath and shower over, and underfloor heating. Spacious utility / store room with washing machine, dryer and freezer.